Regardless of how traditional SUV buyers feel about soft-roading compact crossovers, they are here to stay. And two of the most popular small crossovers are the Nissan Rogue and Kia Sportage. 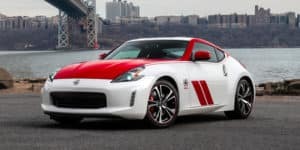 They both offer plenty of room, good fuel economy, and light off-road abilities, but they are aimed at different types of buyers in the Sarasota area. Which is right for you? Find out below. The Nissan Rogue Sport debuted as a standalone model separate of the Rogue lineup in 2017. Since then, this downsized crossover has remained relatively unchanged. Despite its lack of change, it still looks fresh, and is far from due for a refresh. 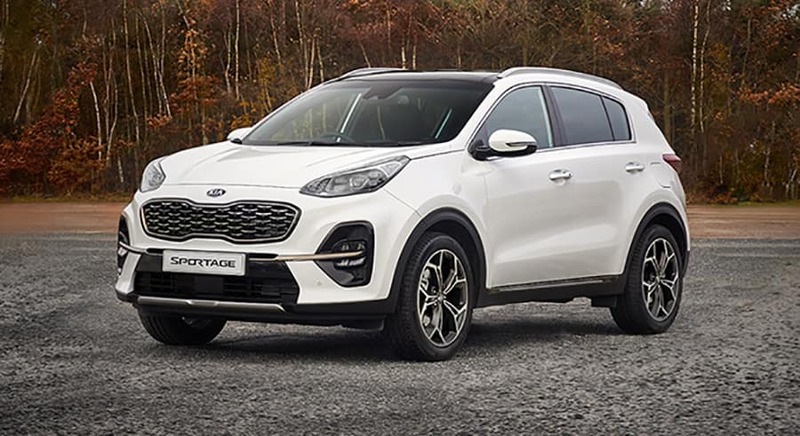 The 2020 Kia Sportage received a light refresh that included new headlights and fog lights with available LED technology, a new front fascia, an updated skid plate, new wheels, new exhaust tips, new taillight trim, and a new Steel Grey color option. This doesn’t make the Kia Sportage look like a different vehicle, as it retains the same quirky looks as before, but it does modernize it a touch. The 2020 Kia Sportage is significantly larger than the Nissan Rogue Sport in every key measurable, but it sits nearly an inch lower to the ground. That lower ride height helps with its agility, but it also negatively impacts its off-road capabilities. Like the exterior, the 2019 Nissan Rogue Sport’s cabin is very traditional, though it does have a sporty flat-bottom steering wheel to dress things up a bit. On top of its traditional styling, the rogue also has plenty of high-end standard and optional equipment. On the standard side, the Rogue Sport offers a 7-inch touchscreen, Apple CarPlay, Android Auto, SiriusXM, and more. If that’s not enough, you can also opt for leather seating, an upgraded audio system, an 8-inch touchscreen, and even ProPILOT semi-autonomous driving. 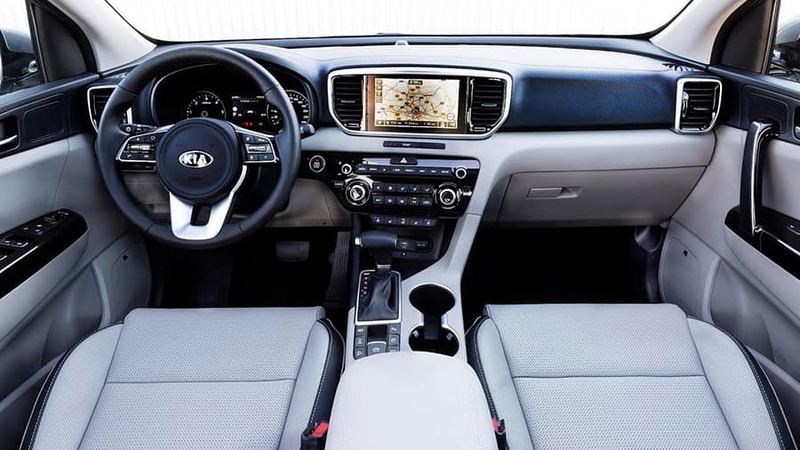 The 2020 Kia Sportage’s interior also received a light freshening up, bringing in a standard 8-inch touchscreen with Apple CarPlay and Android Auto, a redesigned steering wheel, new HVAC vent bezels, and newly available wireless charging pad and Sofino leatherette upholstery. In terms of styling, the Sportage’s cabin is nowhere near as wild as its body. In fact, it is surprisingly reserved with lots of black and matte silver keeping things toned down. On its standard equipment list, the Sportage gets a few extra goodies relative to the Rogue Sport, including its 8-inch touchscreen, six-speaker audio, and more. It also has a full allotment of standard safety nannies like automatic emergency braking, lane-keep assist, and more. On its options list, the Harman/Kardon audio system and panoramic sunroof stand out. 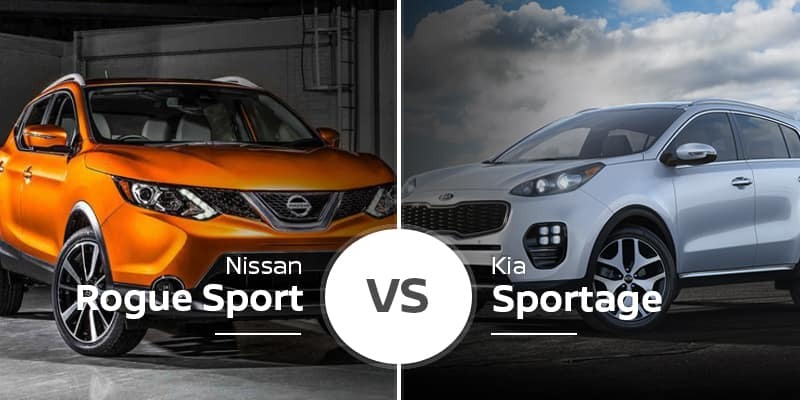 In sizing, the Nissan Rogue Sport has more legroom and headroom up front, but the 2020 Kia Sportage’s larger body takes over in the rear as it has a significant advantage in legroom and a slight headroom advantage. 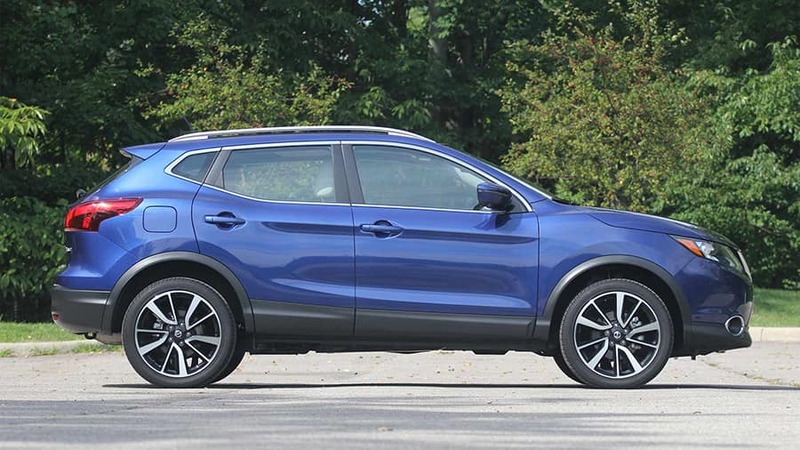 Compact crossovers are far from performance vehicles, and the 2019 Nissan Rogue Sport fits that description perfectly. Its 2.0-four-cylinder engine delivers 141 horsepower and 147 pound-feet of torque, which gets this small crossover to 60 mph in 9.7 seconds. The Sportage is a little different, though. 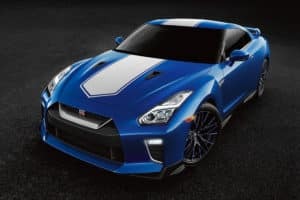 Its base engine is no fire breather with 181 horsepower, but its optional 2.0-liter turbo engine delivers a potent 240 horsepower and 260 pound-feet of torque that gets it to 60 mph in a surprisingly quick 6.9 seconds. The 2020 Sportage also wins the towing battle with a 2,000-pound capacity, whereas the Rogue Sport is not rated for towing. There is a fuel economy trade off for the more powerful Sportage, as the Rogue Sport beats it by up to 8 mpg. 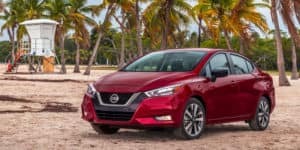 The 2019 Nissan Rogue Sport has just three trim levels — S, SV, and SL — and their starting prices range from $22,240 to $27,960. The 2020 Kia Sportage lineup has four trim levels: LX, S, EX, and SX Turbo. Since the 2020 Sportage is not in stores yet, its the starting MSRP for these trims is not yet available. For reference, the 2019 Sportage’s prices range from $23,750 to $33,100. Need to maximize fuel economy without sacrificing a ton of cargo and passenger room? The 219 Nissan Rogue Sport is the best option with its up to 32 mpg highway* and larger cargo area with the seats folded. Who Should Buy the 2020 Kia Sportage? Looking for an outside-the-box-looking crossover with some performance cred? The 2020 Kia Sportage offers that and more. Plus, if you plan to tow a small trailer, its 2,000-pound towing capacity can handle it. Ready to tackle you commute to St. Petersburg or Sarasota in the thrifty and roomy 2019 Nissan Rogue Sport? 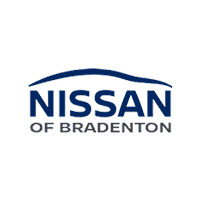 Head down to Nissan of Bradenton today to test drive the 2019 Rogue Sport through the streets of Bradenton to see what it can do for your family. Can’t make it to our Tampa Bay area showroom today? Swing by our online inventory page to see our selection of in-stock 2019 Rogue Sport models, choose the one that suits you best, and schedule a test drive at your convenience.